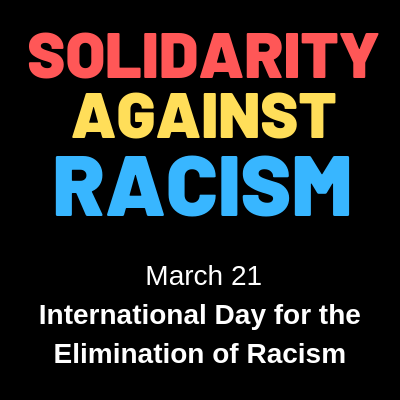 This year's acknowledgement of the International Day for the Elimination of Racial Discrimination is especially urgent, coming just days after the murderous attack on the Muslim community in New Zealand that left 50 people dead and many still critically injured. Today New Zealand held a country-wide moment of silence in honor of those who died; the Prime Minister has announced a ban on all semi-automatic weapons. On this International Day Against Racism, we join our communities, members and allies here and around the world in denouncing all forms of racism, calling for human rights for all, and urging greater solidarity and commitment to end racism, bigotry, and white supremacy. Significantly, this year the United Nations is emphasizing the theme, "Mitigating and countering rising national populism and extreme supremacist ideologies" -- reflected in the attacks in New Zealand, in the right-wing, anti-immigrant movements in Europe, and in our own experience in the United States. Monday, March 25 marks another important day and opportunity to raise awareness about the historical injustices that continue to underly contemporary racism: the International Day of Remembrance of the Victims of Slavery and the Transatlantic Slave Trade. In line with the significance of today, we want to share NNIRR's list of "Film and Media Resources" - a directory on our website of films and videos. 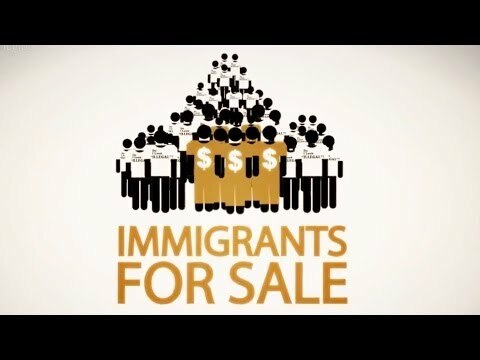 They are just a sampling of visuals produced over the past few years that expose root causes of migration, share migrant and refugee stories, and spotlight some of the most critical issues and situations in the U.S. and around the world. From our website: "Films and other forms of media can be powerful tools to tell stories that provide educational context and spark much-needed dialogue. They can be a catalyst for leadership development and inspire individuals to go beyond the role of viewer and take action for social change." We also include a media literacy guide to help in leading discussions about the films. While we have reviewed these films, we strongly recommend that you preview the entire content before screening to a wide audience or classroom. We do not necessarily endorse all views or portrayals, but feel the content and messages are worthwhile for facilitating important conversations about migrant and refugee rights and the intersections of social and environmental justice issues. Some of the films are for sale, some for rent. Check out the Films and Multi-Media Resources page for more tools to spark discussion and inspire change! We welcome your recommendations for more great resources to share. Just email us at nnirrinfo@nnirr.org.